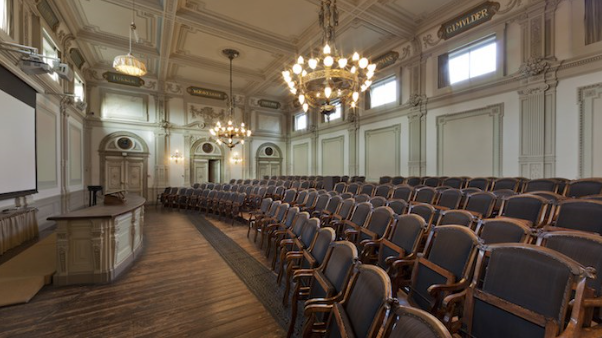 The annual NCK Conference will be held at Teylers Museum in Haarlem from Wednesday to Friday March 21-23, 2018. This year's edition is organised by TNO. The program of the conference including all presenters is now available. An sprint session on DINOloket, EMODnet and Open Earth will precede the conference (see item above). The icebreaker will take place on Wednesday night, starting at 19.30h in Restaurant ML, Klokhuisplein 9, Haarlem. Note that there are 2 location of Restaurant ML in Haarlem. The location at the Klokhuisplein has recently been renamed from cafe Stempels into Restaurant ML. We kindly request your to register as soon as possible at www.tno.nl/nckdays2018/. For more information on the 2018 edition of the NCK days, visit the TNO site or the event page.